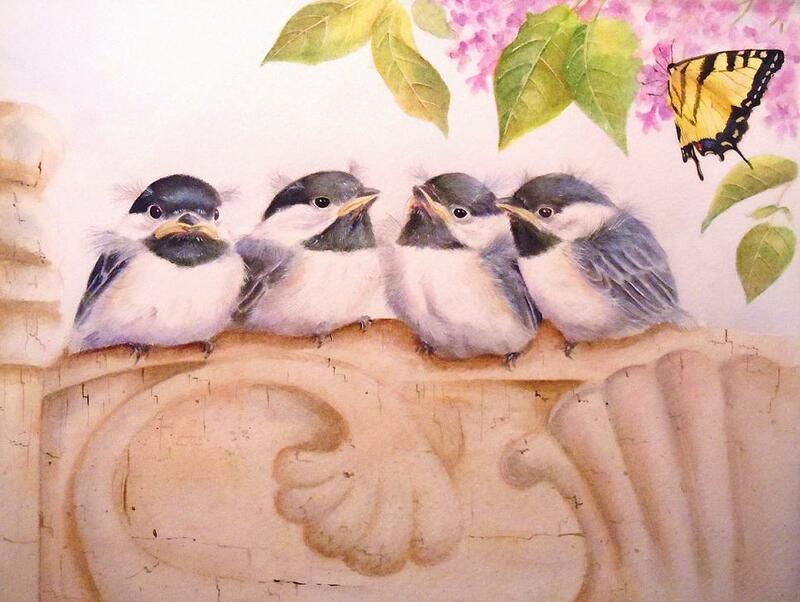 Although I enjoy painting on feathers, my real love is watercolor and colored pencil. It is also a meticulous medium, as the pigment is mixed by layering colors right on the paper . This process results in a painting that is remarkably lifelike and detailed with subdued color. It is also a process that lends itself to small subjects without a background, and this allows the viewer to concentrate on the intimacy of the subject. 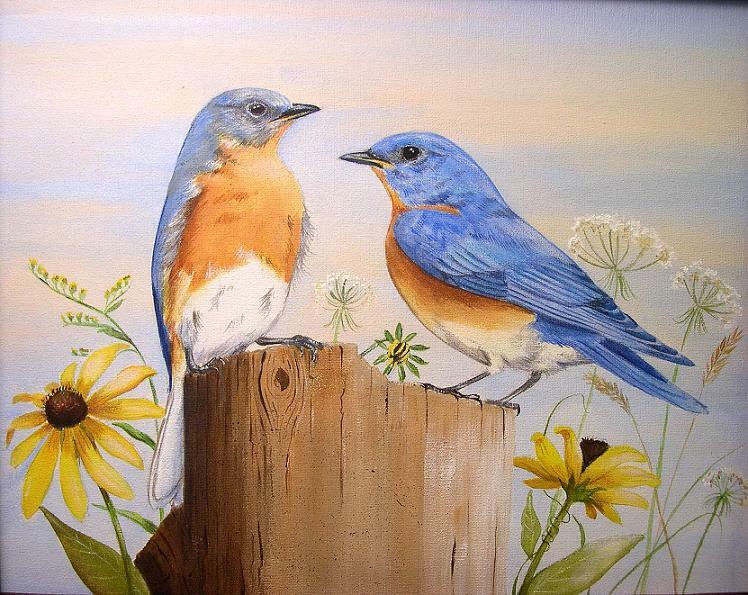 Most of my watercolor and colored pencil works are small, and none are larger than 11" x 14" , framed. 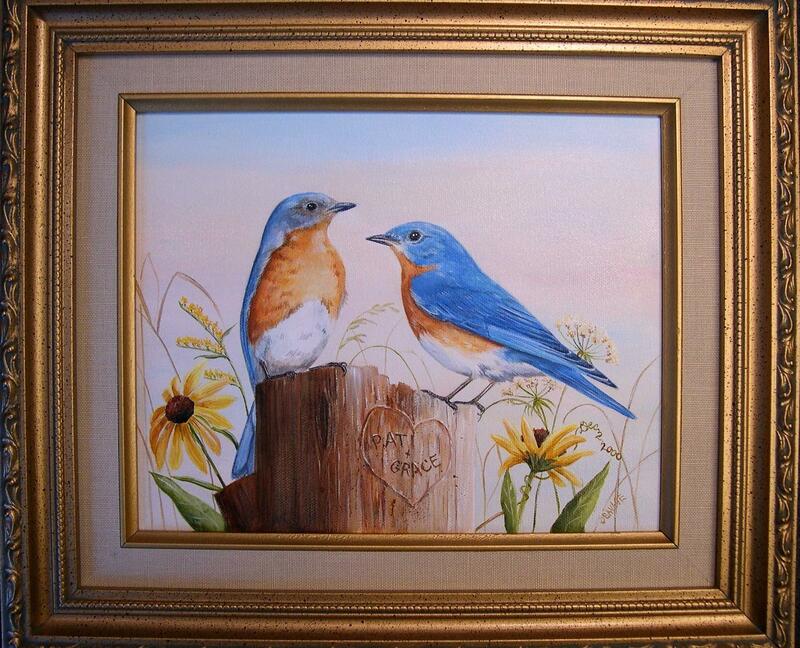 This is a similar bluebird painting; as you can see it is personalized with first names and wedding date. Image size 8"X10", matter and framed to 11"X14"
Image size 8"X10", matted and framed to 11"X14"